Product prices and availability are accurate as of 2019-04-18 06:27:59 EDT and are subject to change. Any price and availability information displayed on http://www.amazon.com/ at the time of purchase will apply to the purchase of this product. 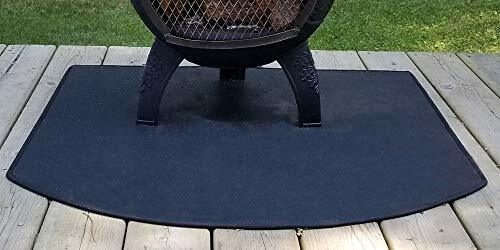 Designed as protection from a stray ember or ash from a wood burning chiminea, the fire resistant pad is not fireproof. It will protect your deck area from a ember or burning log until it can be placed back in the fire. It will not protect your deck from direct heat or intense direct fire. Think of it as a fire suit for your deck. A fire suit will protect you from sparks and flame but does not help in a 1200 degree oven for extended periods... Not recommended for wood burning firepits, cast iron chimineas, short chimineas such as the Garden or Pine. The Blue Rooster Company large cast aluminum outdoor fireplaces can be placed directly on the pad. 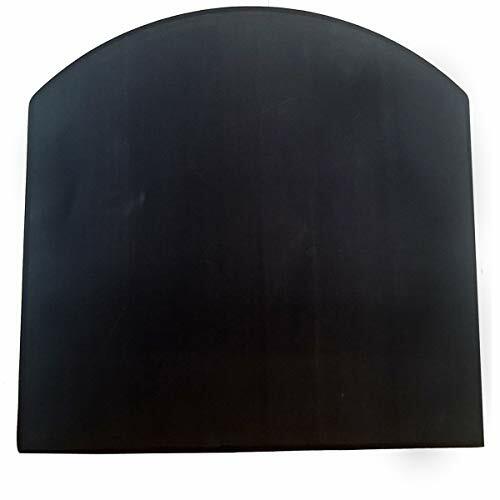 Chiminea pads are currently only available in Black and are UV resistant. The fire resistant Chiminea pad is the newest addition to The Blue Rooster line of Chiminea accessories Fire resistant pad is made of woven fiberglass material mounted to a tough latex rubber backing Place this pad under your Chiminea or outdoor fireplace to protect your decking or patio material from wayward sparks or embers Chiminea pads are currently only available in black and are UV resistant 36 in. x 36 in.